In a few years, when you go to Ikea to pick up something from its Landskrona or a Grundvattnet collections, you might also grab a Lokal — a structure that could allow you to grow your own food indoors. At the London Design Festival in September, Space10 — Ikea’s “future-living” design lab — debuted its concept for a salad bar prototype whose ingredients are grown using an indoor hydroponic farming system. 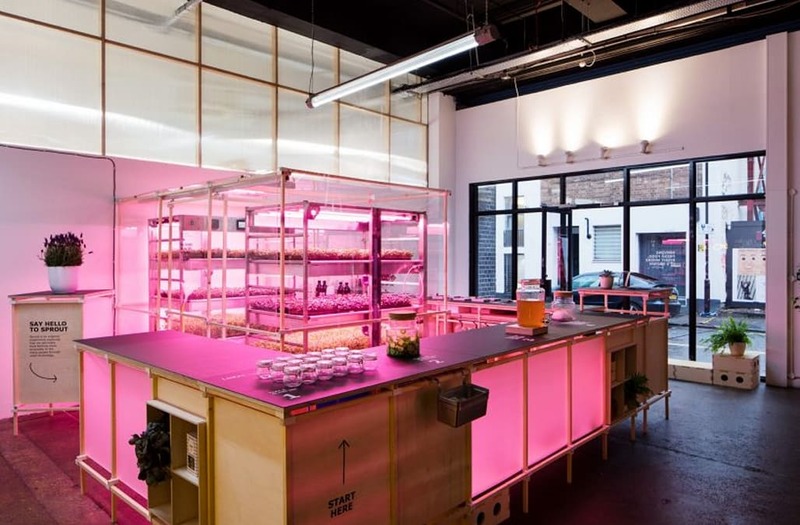 These kinds of urban hydroponic farming concepts are nothing new — for example, Bowery Farming already grows its food indoors — but Lokal is more of a small-scale, automated concept designed to provide food for a single restaurant. Space10 said its next iteration of Lokal’s design will include sensors, machine learning and integration with Google Home. “That will enable people to ‘talk’ to the greens and understand their growing conditions and nutrient needs,” according to Space10’s news release. It’s still nothing more than a prototype, but if Ikea decides Lokal is worth pursuing further, it could be used to grow the food served within Ikea’s cafeterias onsite, for example. Or maybe Space10 could convert Lokal into a product Ikea customers could purchase, empowering apartment dwellers, families or small restaurants to grow their own greens. In an email to Mic, a representative for Space10 said the reception for Lokal in London was so positive that Ikea is now exploring the idea of bringing the concept to fruition, so it’s not outside the realm of possibility. In fact, out of 100 recipients polled about the salads they ate that were grown using Lokal, only one guy said he didn’t like it — because it didn’t have any meat.